They say boys are hard to buy for. Well, relax and get your Christmas gift list ready because we have some gorgeous boys clothes to show you. Get the boys ready for summer with some cool boardies. 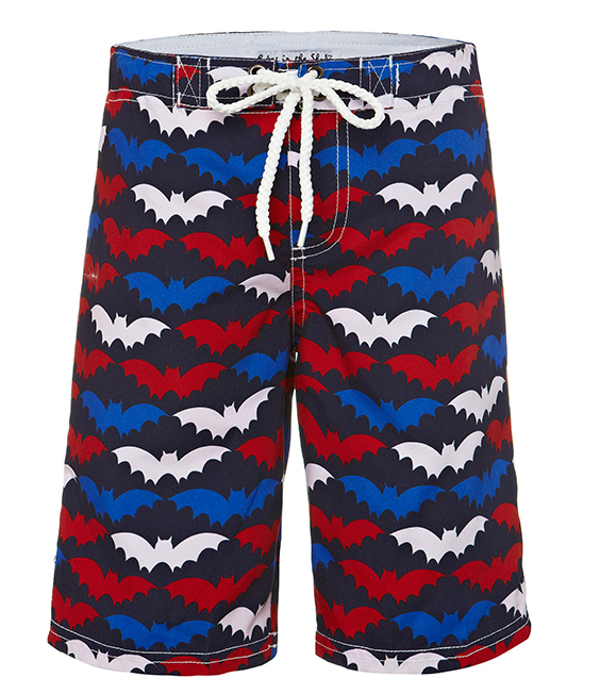 These bat boardies by Babes in the Shade are great for the pool, beach or just out and about. With an adjustable waist and button, they are easy to fit any shape. And at $25, these boardies are great value. These vintage-style euro shorts from Alfie and Nina are trés hip! They have a chlorine resistant lining and are UPF 50+. At $38.95, they are well worth the spend. A trusty rashie is essential come summer. 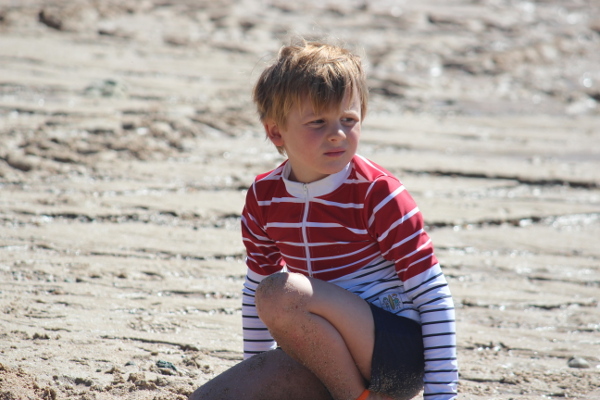 Long sleeve rashies from Mini Sandcrabs are UPF 50+ and chlorine resistant. The simple red, blue and white stripe pattern on the Scarborough rashie makes it easy to mix and match with most boys’ swimmers and boardies. This one costs $54.95. I love giving PJs as presents. They are such an easy solution for the child who has everything. 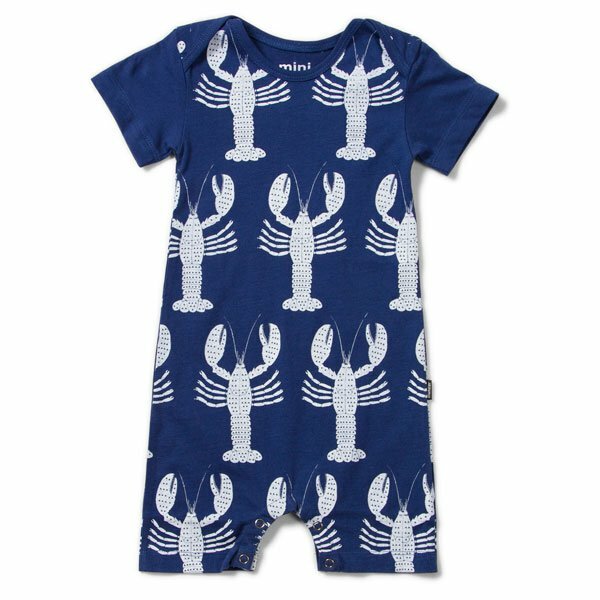 These Unikeko dino jarmies from Marimekko hit the mark for fun and fashion. At $38.95, they’ll be sure to put a smile on any boy’s face. These dusty blue gingham pyjamas from Hickory Hill Home hark back to yesteryear. The classic colours and design reminds me of something you would see in an Enid Blyton illustration. Featuring a nifty top pocket and elastic waist, these PJs sell for $39.95. 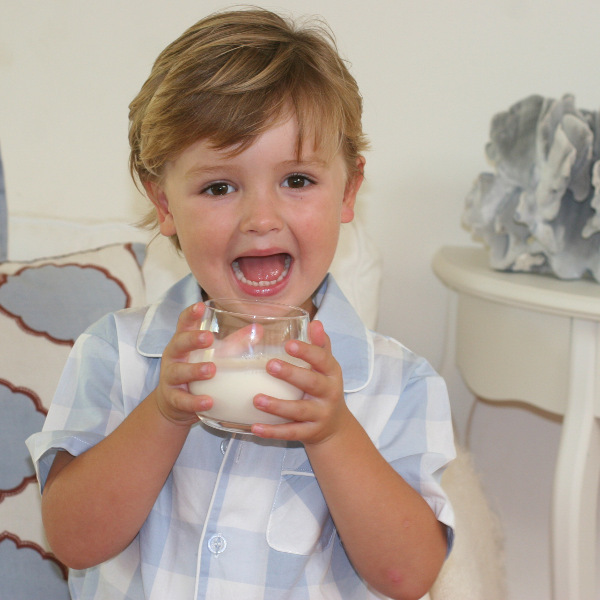 It’s hard to get any cuter than a little boy in a pair of shortie pyjamas. Snugglebum make gorgeous short john sets in a variety of designs and colours. My fav is the Regatta Boys Ice cream Truck short john, which sells for $36.95. Know a super-stylish boy? No problems. Check out this cheeky cap from Furious Kingston for $32.95. The old-school check pattern weaves chocolate, rust and stone colours together. So cool. Parents always complain that boys draw the short straw when it comes to kids clothes. But not if you know where to look. Minti designs uber-cool tees, tops and jumpers for boys. 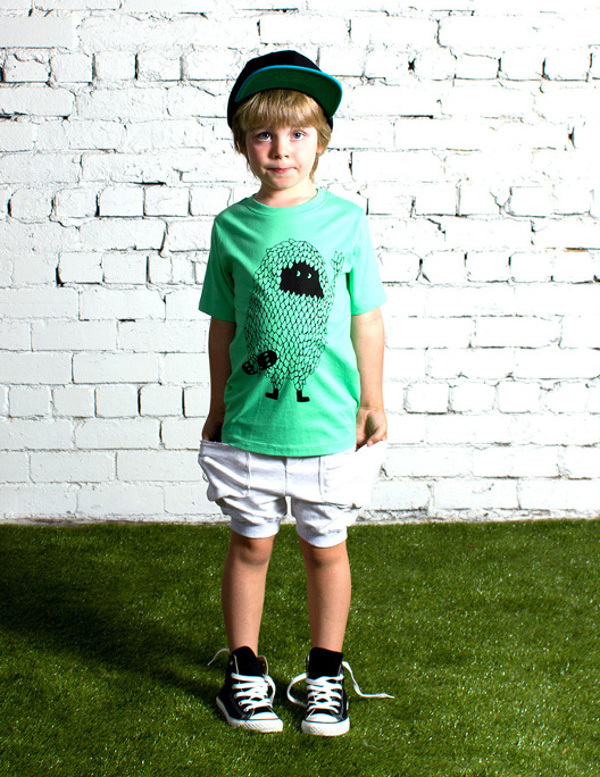 This Leafman tee, in mint, midnight or white, stands out in a crowd. Costs $39.95. Sticking to cool tees, this Finger in the Nose design is excellent. 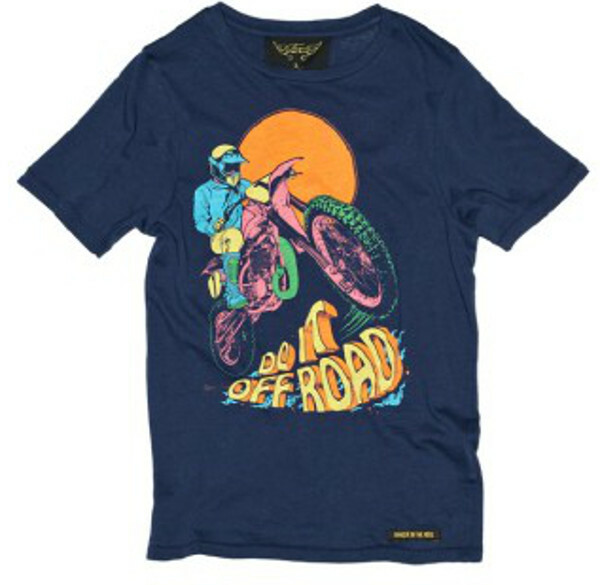 The moto off-road t-shirt in blueberry is one hundred per cent cotton and sells for $55. 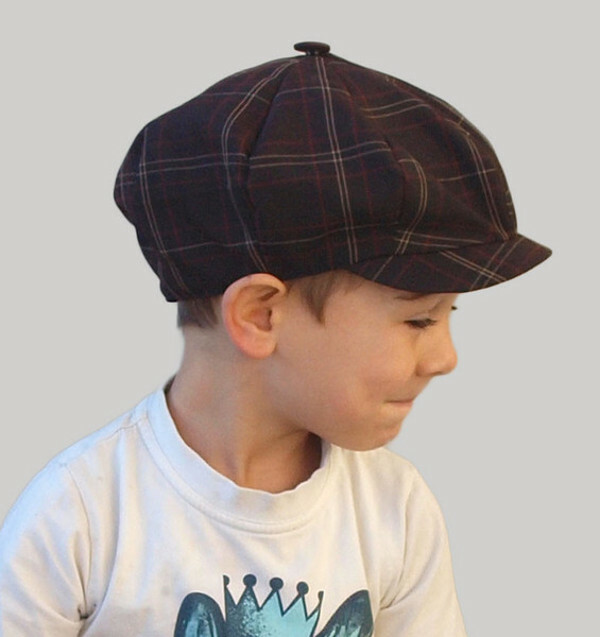 If you like original designs, you will love this French label, selling locally at Kido. And last but not least, if you want to give a newborn something a little different – look no further than Munsterkids. At$44.95, this stylish all-in-one is great for any little nipper. Sizes suit newborn to 18 months. Minibots stocks this cute onesie, plus a range of other funky Munster gear. Check our other Christmas Gift Guides for more ideas.